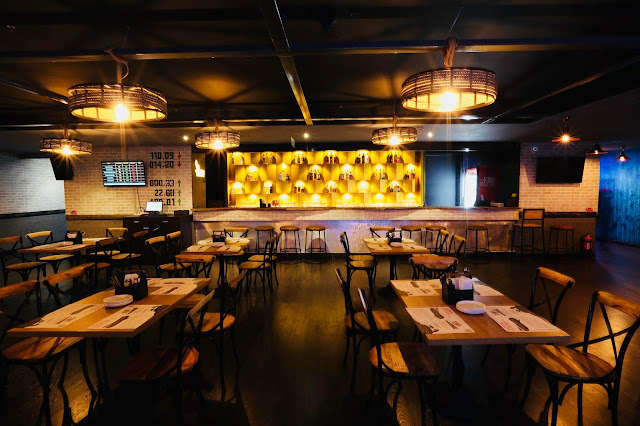 In this blog post, I cover the newly opened Gurgaon Pub Exchange in SMAAASH Cyber Hub Gurgaon. 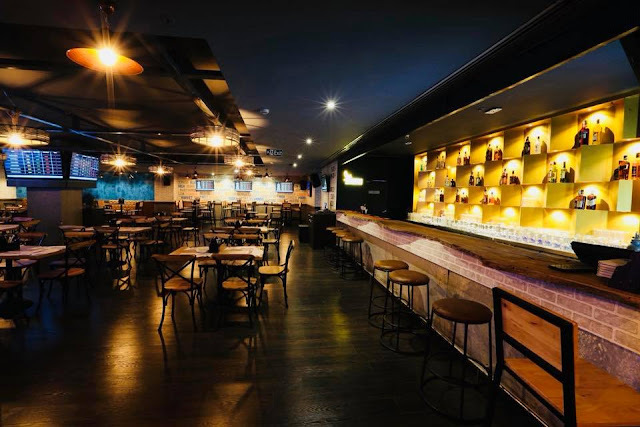 The wait for Cyber Hub's most pocket-friendly bar is over! 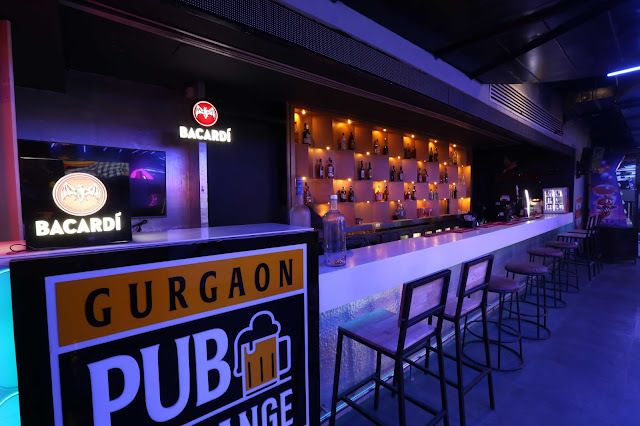 The Gurgaon Pub Exchange is now open at SMAAASH, India's most popular urban sports park. 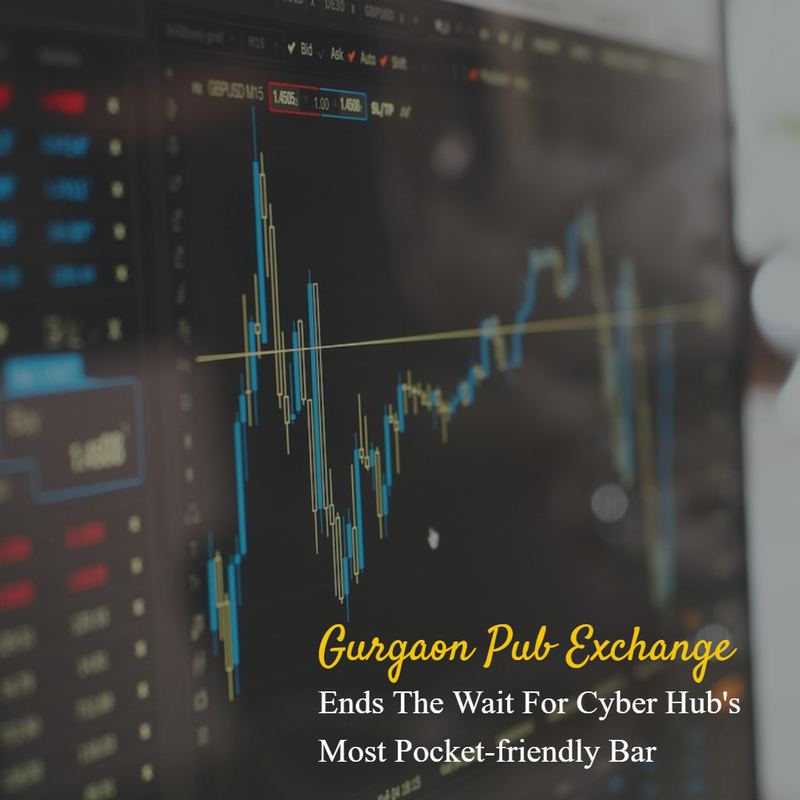 Designed to provide the look and feel of a stock exchange, the Gurgaon Pub Exchange is the kind of place where the prices of drinks change based on real-time demand and supply. The more popular a drink is, the higher its price! 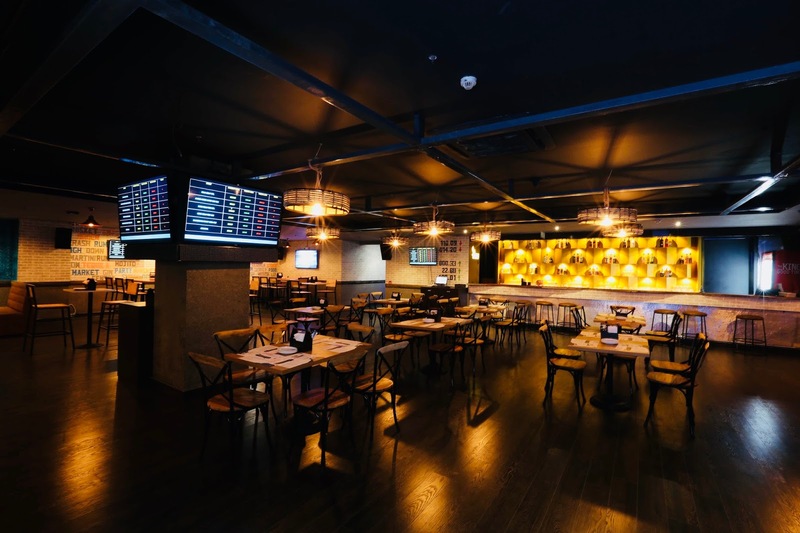 The outlet offers an insane yet unpredictable vibe of a stock market. Remember trading in a stock market? The same analogy applies here as well, with the only exception that instead of betting on stocks, you bet on your favorite drinks this time. 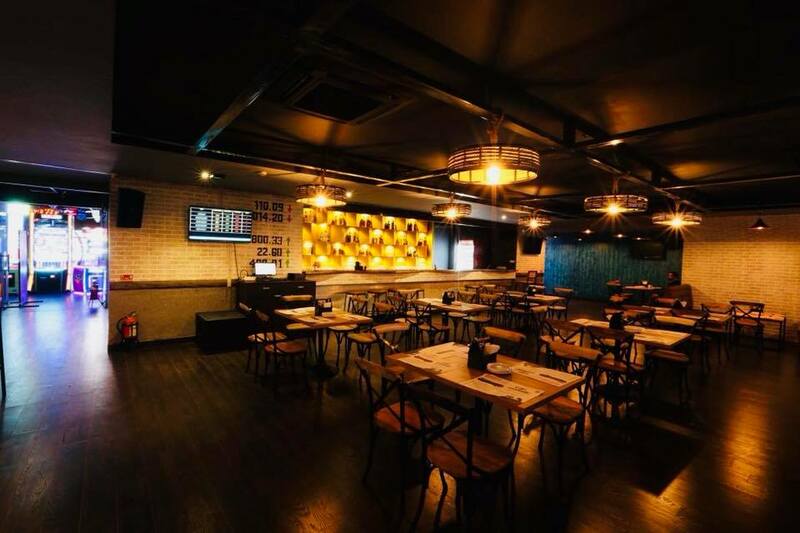 Spend a day trading in a stock market themed tavern, with an extensive menu of innovative cocktails and fusion food items. Experience what it is like to be a trader as you embark on this palatable journey especially crafted for food enthusiasts like you and me. The salient features of this pub include proprietary software and trading servers. The pub is adorned with huge LCD screens, LED tickers, and the legendary stock market 'gong', all of which takes you to the make-believe world of trading. For the entire duration of my stay there, the prices of drinks kept fluctuating based on real-time demand and supply; the changing prices were displayed on screens at all corners*. 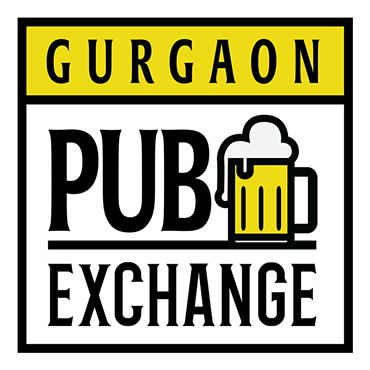 The Gurgaon Pub Exchange leverages technology to monitor this demand-supply algorithm. Customers can easily monitor the price of their favorite drinks and then trade. 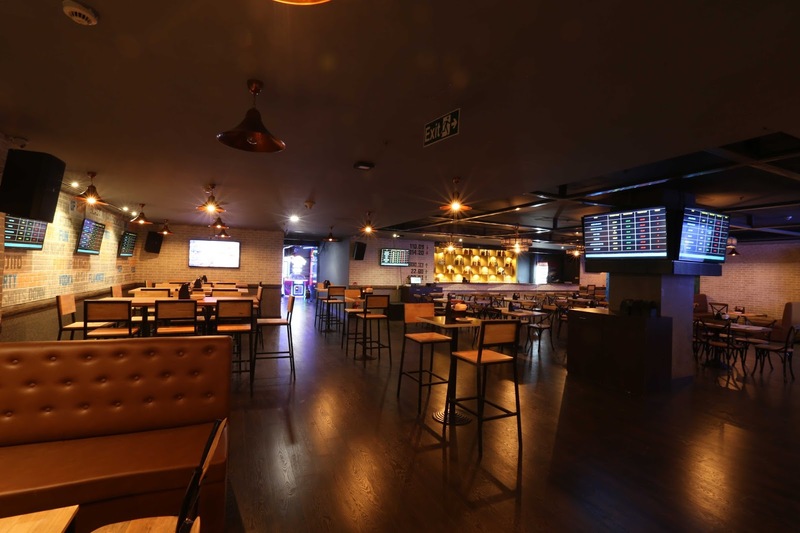 You can also place orders via a specially developed Smaaash Pub Exchange app (available on Android and iOS) that lets you monitor the prices of drinks and place orders in real-time. Every table has a unique number that you need to enter on the app while placing your orders. Customers can compete with each other to get the best prices on their choice of drinks. What's even more interesting is that every day the market crashes at least once, so customers can trade their favorite spirits and purchase them at rock-bottom prices. Trading then initiates all over again from this new set base price. A breezy cocktail that consists of vodka and Bacardi rum, mixed with strawberry-orange juice. This is not your usual virgin mojito; the drink scores high with flavors of fresh mint, fresh lemon chunks, lemon juice, and Monin mint syrup, topped up with crushed ice and soda. You'll love this spicy mocktail that contains a perfect assortment of fresh green chili, fresh ginger, black pepper, and pineapple juice. Try these delicious hung curd and jalapeno cakes that are seasoned and fried to perfection; best served with strawberry chili chutney. Tantalize your taste buds with these tender chicken kebabs marinated in lime and yogurt, spiced with freshly crushed peppercorn. An appetizer for all seasons, enjoy this sumptuous dish made of cottage cheese marinated in Indian herbs. Crispy stuffed mushrooms with cheese and spinach, deep-fried and tossed with Thai herbs. Popularly known as Butter Chicken, the Chooza Makhani consists chicken tikka cooked with tomato based gravy, finished in butter and cream. 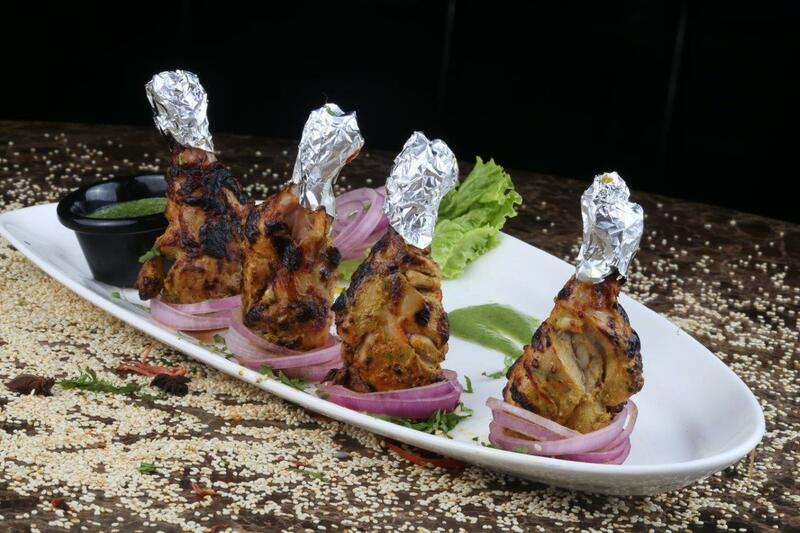 True to its name, this dish consists Paneer Tikka simmered in rich Indian spices. Old-fashioned juicy lamb curry made with assorted Indian masalas. My personal favorite, this dessert consists hot chocolate brownie, served with vanilla ice-cream. Finally, the Gurgaon Pub Exchange aims to recreate an environment where the customer always wins. So what are you waiting for? 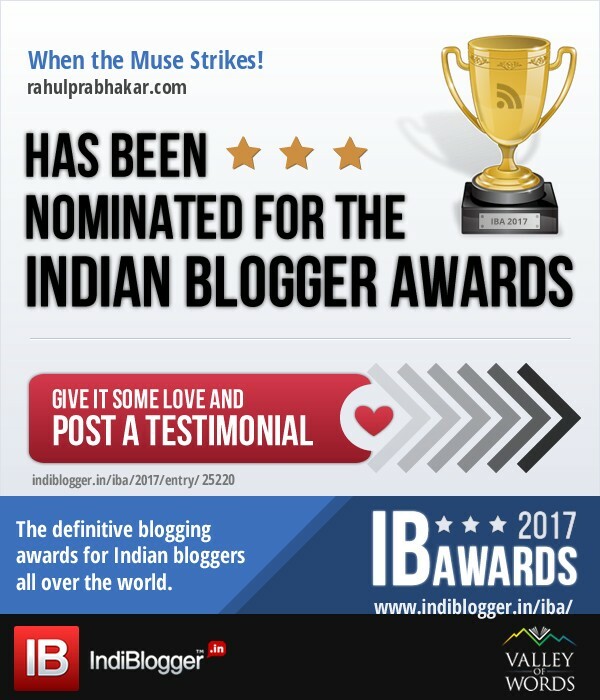 Get hold of your blue-chip stocks, as the discerning bull market awaits you!